The Intel Celeron N3350 is a dual-core SoC primarily for inexpensive notebooks and was announced mid 2016. It runs at 1.1 - 2.4 GHz (Single Core Burst, Multi-Core Burst max 2.3 GHz) and is based on the Apollo Lake platform. Similar to the Braswell predecessor, the chip is manufactured in a 14 nm process (P1273) with FinFETs. Besides two CPU cores, the chip also includes a DirectX 12 capable GPU as well as a DDR3L/LPDDR3/LPDDR4 memory controller (dual-channel, up to 1866/2400 MHz). For the first time in a couple of years, Intel completely reworked the CPU architecture of the Atom series. The manufacturer advertises performance gains of roughly 30 percent, but does not reveal any specifics about the individual changes. The new Goldmont architecture should therefore be roughly on par with AMD's Beema/Carrizo-L APUs in terms of per-MHz performance, but it still far behind the more expensive Core CPUs (like Skylake / Kaby Lake). The CPU performance of the Celeron N3450 with 2 CPU cores and a clock between 1.1-2.4 GHz should depend a lot on the cooling solution. If the chip can maintain its Boost clock, the N3450 should be about 20-30 percent faster than the old N2840 (Braswell) and compete with an Celeron 2955U (Haswell, 2x 1.4 GHz). This means the processor is perfectly suited for daily tasks (office, browsing) as well as moderate multi-tasking. The HD Graphics 500 (Apollo Lake) is based on Intel's Gen9 architecture, which supports DirectX 12 and is also used for the Kaby Lake / Skylake graphics adapters (like HD Graphics 520). Equipped with 12 EUs and a clock of up to 650 MHz, the performance should be roughly on par with the older HD Graphics (Braswell). This means only older and simpler titles will run smoothly. The chip also includes an advanced video engine with hardware support for the playback of VP9 and H.265 material (8-bit color-depth). Similar to the predecessor, Intel specifies the TDP with 6 Watts (SDP 4 Watts – Scenario Design Power). The chip can therefore be cooled passively in theory, but SKUs with fans are possible as well. 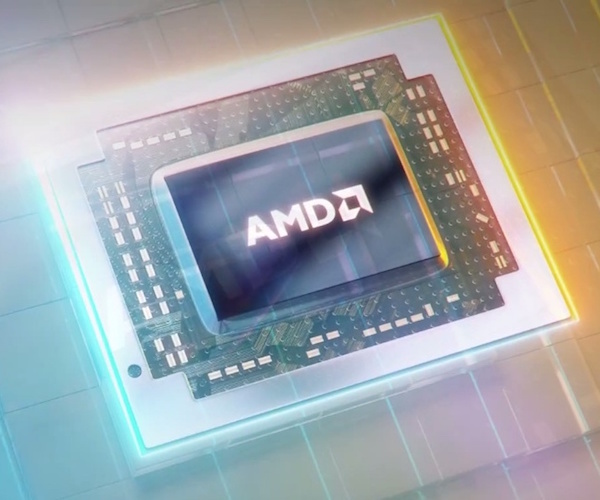 The AMD E2-9010 is the least powerful chip from the Stoney-Ridge APU series for notebooks (7th APU generation) at the time of announcement in mid 2016. The SoC integrates two CPU cores (one Excavator module with 2 integer and on FP unit) clocked between 2.0-2.2 GHz. It also includes a Radeon R2 GPU clocked at 600 MHz as well as a single-channel DDR4-1866 memory controller, H.265 video engine and chipset with all I/O ports. AMD specifies the TDP of the E2-9010 with 15 Watts, but it can be configured between 10-15 Watts. This means the APU is intended for thin and light notebooks.